Demonstrating tactical brilliance, physical mastery, imperious hill smashing and slingshot-style sprint finishes - the Women’s Tour is back on UK shores and looks set to be the most unpredictable, action-packed and exciting yet. Kicking off in Framlingham on Wednesday 13 June at 10.30am, the event will take place over five stages and 678km, in the process giving crowds in Suffolk, Northamptonshire, Warwickshire, Worcestershire and a Wales a slice of the Women’s Tour racing action. Which Stage is the most exciting for you and why? The first stage from Framlingham to Southwold will be really exciting because it will be the first time we’ve seen much of the peloton back on British soil in front of the fans. This will be where we get an indication of who’s in form and what tactics we might see over those five stages. I’m really excited to watch Canyon-SRAM’s Hannah Barnes this year. She’s a really classy rider and has made some seriously gutsy and powerful moves on the world stage in recent years. Both her and her team mate – defending champion, Kasia Niewiadoma – are worth keeping an eye on. WaowDeals star Marianne Vos (2014’s overall winner) has been plagued by injury, but she’s back and is always one to watch; there’s world champion, Chantal Blaak, Lizzie Deignan's teammate at the ever imperious Boels-Dolmans, and Wiggle High 5's, Lisa Brennauer, another previous winner. Saying that, there is a seriously strong field for 2018, so there will no doubt be some upsets and surprises, which is why we love this event. What marks this event out as special? With amazing organisation, great crowds at each round and exciting routes, when the Women’s Tour launched its inaugural event in 2014, it quickly cemented its place in the women's calendar as the stage race where the best of the professional peloton wanted to compete. 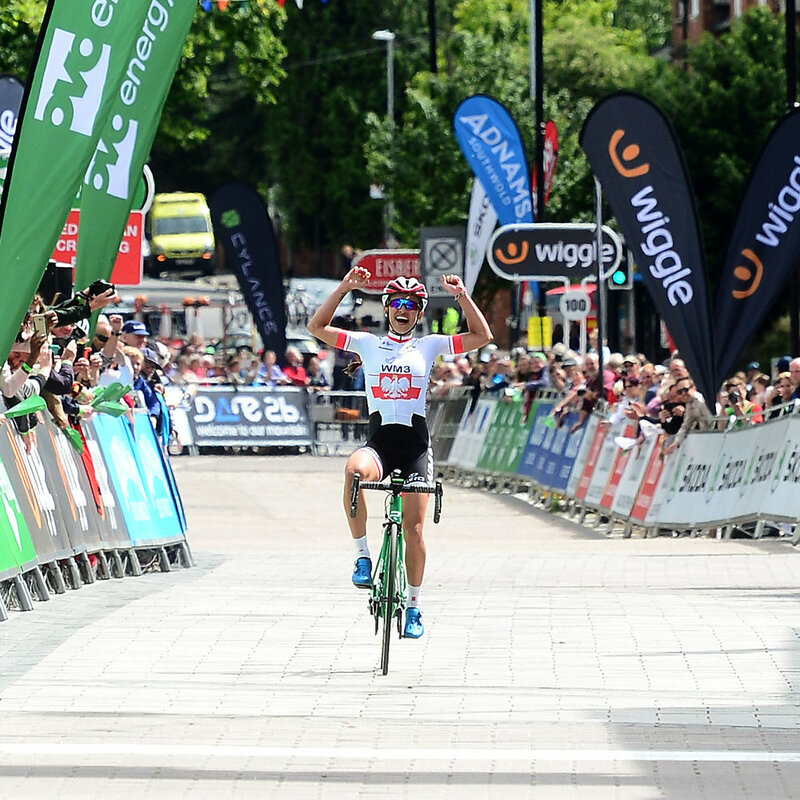 Added to that, earlier this year, title sponsor OVO Energy confirmed the news that there will be complete parity in prize money between the Women’s Tour and the men’s Tour of Britain. That’s a pretty special and very significant development. This will be the first time I’ve presented the OVO Energy Women’s Tour on ITV4 and I’m really looking forward to being in the thick of the action and able to bring rider insight to a wide audience watching at home. How do you prep for a week like this? Although preparation is key in terms of understanding the form of riders, it’s one thing to look at a rider list on paper, but it gets really interesting when you chat to the riders themselves and look behind the scenes of the teams and the race. When you have the chance to really chat to riders and document and reflect the hard work behind the scenes, the quiet confidence, the real stories of the peloton - that’s when I know I have done my job well. You can’t really prep for that. That’s about asking the right questions and reacting in the moment to who you are speaking to. What advice would you give up-and-coming cycling commentators? Take opportunities to get on the microphone when you can and let your passion for cycling shine through. There are so many grass roots cycling events that need support and knowledgable commentators, so if you’re just starting out, knock on doors and gain experience. I also try to ride my bike as much as possible to get a feel for the events that I am covering. I recently rode the end of Stage One of this year’s event and I've taken a really good look at the final 90-degree turn onto the finishing straight and rolling roads preceding it. All of this insight helps you arm viewers with as much information as possible. By the way, if this comes down to a bunch sprint, which looks likely, it’s going to be a thrilling end to the day! What's the most glamorous thing about this job? Having the privilege to interview and work alongside the best bike riders in the world. Oh, and sometimes I get offered prosecco in a plastic cup at the end of a race. Instant coffee in press rooms. How can we keep on top of all the action? To cheer on the riders: Check out where each Stage goes and how you can watch the live action here. The OVO Energy World Tour organisers provide amazing details of what times the racers will be going through different parts of the country, making it easy for you to turn out in person and soak up the incredible atmosphere. To catch the highlights with Rebecca: Tune in to ITV4 every evening, where I will be summing up the day’s action with the help of ex pro’s and experts. Find out more here. To ride the same roads the professionals will be riding: Sign up to the OVO Tour Ride in support of Breast Cancer Care on July 1st. For behind the scenes sneak peeks: In-between interviews, races and cups of instant coffee and prosecco, you can see the World Tour through Rebecca’s eyes on the Casquette Instagram Stories feed. 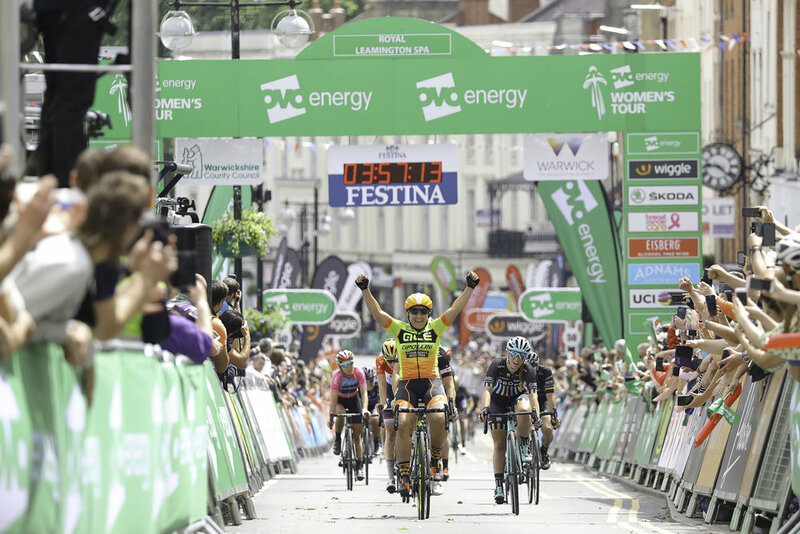 Rebecca Charlton is an ambassador for OVO Energy, the UK’s largest independent energy technology company and proud sponsor of the OVO Energy Women’s Tour.